SOLD! 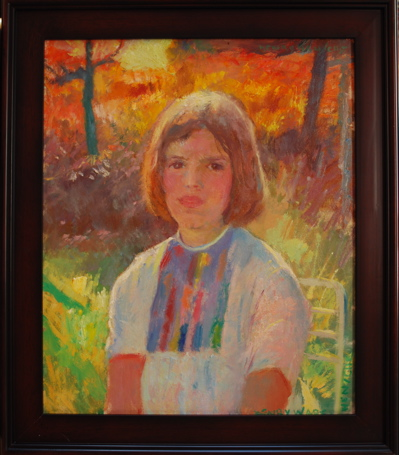 Portrait of Melissa is a classic Henry Hensche painted in the 1970's. Melissa's grandmother was a close friend of Hensche's and had this painting done.